have you been to the hot springs in Ipoh? Ok, I admit I love the hot springs at The Banjaran Hot Springs Retreat and I wouldn't think any other hot springs in Malaysia would beat that heavenly place. However as good as it may be, my pocket can't justify visiting that luxurious heaven all the time. That leaves the question of so where else can I get a good dose of hot Springs without traveling too far from the city? The Lost World of Tambun of course. Thankfully during my trips to The Banjaran Hot springs Retreat, I had the chance to visit the Lost World of Tambun themepark before heading back to Kuala Lumpur. With only an hour left to go, the only two places I got to peek is The Petting Zoo and the Lost World Hot Springs & Spa. Interestingly, the difference between the two hot springs destination is that one allows children while the other does not. 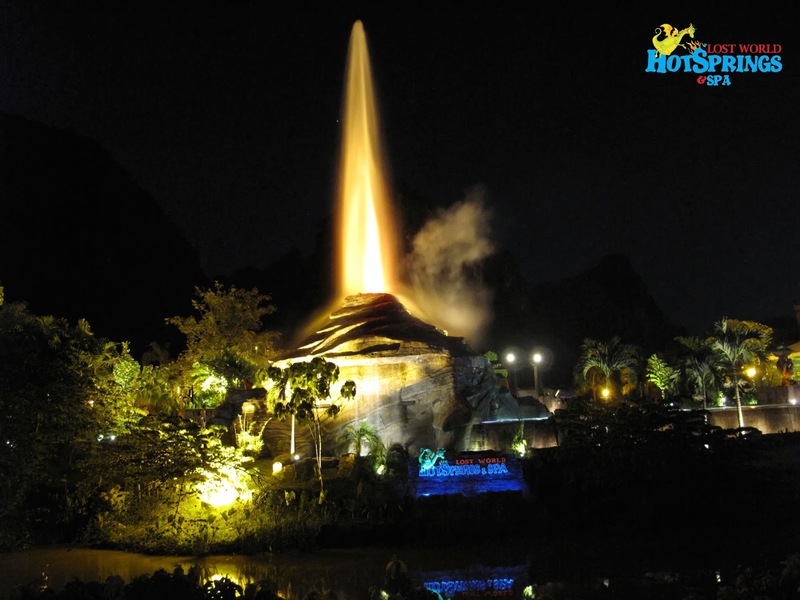 You can tell that Lost World of Tambun is a family oriented adventure theme park. 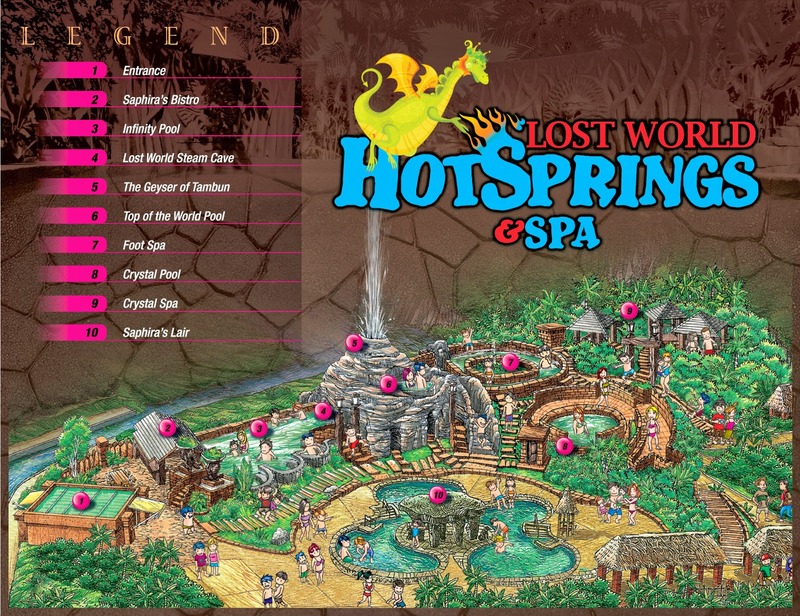 During the day you get to run around and experience the thrills of the theme park while at night, you get to rest and relax at the Lost World Hot Springs & Spa. 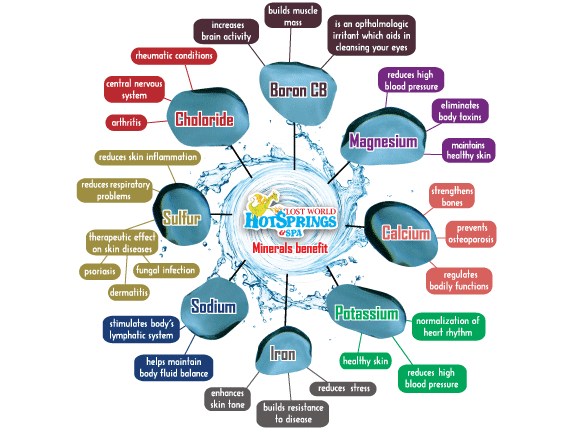 do you know the benefits of hotsprings? 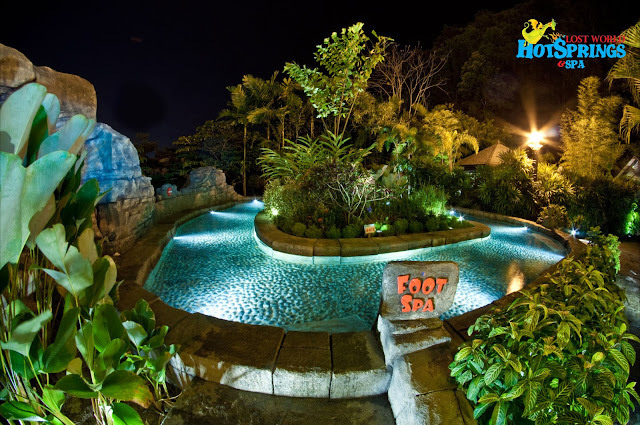 The hot springs at Lost World Hot Springs & Spa is definitely many more times fun than the quiet tranquility that The Banjaran Hot Springs Retreat provides. I'll show you why through a recent adventure with the bloggers from The Butterfly Project Community who were invited by the Lost World of Tambun for a review getaway. A total of 30 bloggers, called "butterflies" were treated to a day of fun and a night of celebration, all thanks to the awesome people from Lost World of Tambun. This is apparently the first time they invite a large group of bloggers to review! water so hot hot hot awesome! the before & after result of the mask is amazing! fancy seeing a fortune telling booth here! there's also sago with gula melaka! so the band came out to play & dance with us! Now I love hot springs but I take a bit of time to get used to the heat or should I say the temperature of the pools available at The Lost World Hot Springs & Spa. My advise is to slowly dip your feet first, splash the water on yourself with your hands and slowly immersed yourself into the water. It's a whole new experience for us Malaysians who don't normally go out of the city to explore the benefits of a hot springs pool but once you have tried it, you won't ever forget it! The hot springs water is mineral rich which helps to improve your health and wellbeing. My legs were sore from running around theme park to explore every nook and cranny but after a night of hot springs swimming, I slept like a baby and all the soreness went away in the morning! Definitely recommend my friends to come enjoy the therapeutic and well being benefits from hot springs. 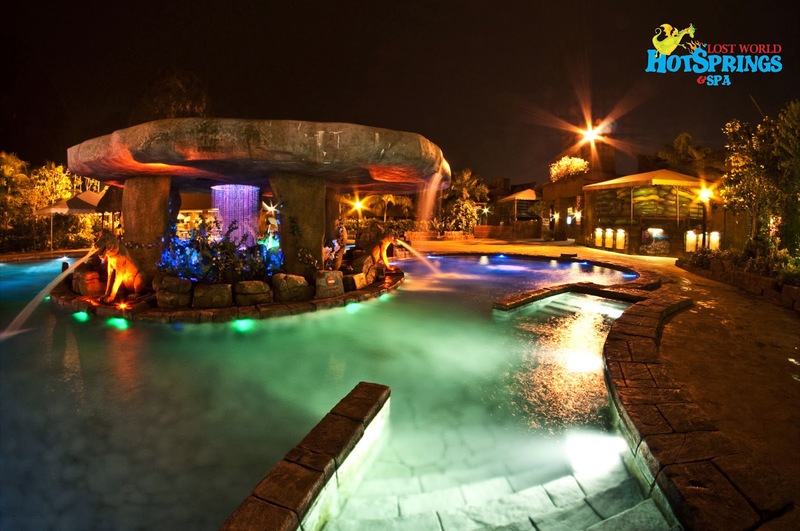 There is about 6 hot springs pools in The Lost World of Tambun. Let me introduce you to them here! 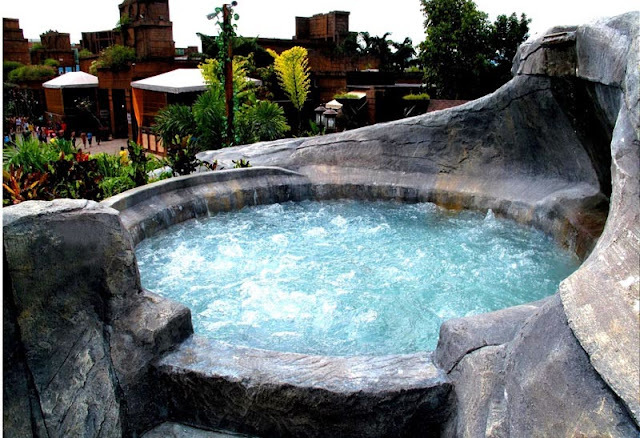 Unlike any other man-made hot springs, it is specially designed to function as a true spa. The Infinity Pool can accommodate up to 300 people at once and is surrounded by the serene and calming sounds of the volcanic waterfall. Right at the very top of the Lost World Hot Springs & Spa sits the Top of the World Pool. This pool is a jacuzzi pool with pampering massage water jets that allows a full range of therapeutic hydro-massage for muscles, joints and pressure points. Heat from the hot springs water can also ease joint movement for guest suffering from arthritis. The enchanting pool can act as a sanctuary for couples to relax and enjoy the hot springs water, to further add to the romantic mood. The temperature of the pool is 43ºC. To experience the true spa, the Lost World Steam Cave is great because it acts as a sauna, promoting detoxification leaving the skin clean and refreshed, whilst encourages blood circulation. A visit to the Lost World Steam Cave may be what you need to de-stress. The Foot Spa is a unique pool of reflexology pebbles fitted to the floor. Visitors can walk on the pebbles while enjoying the hot springs water soothing their feet. Reflexology targets pressure points on your feet and generally helps in stress reduction and also stimulates the lymphatic system thus reducing risk of infection. It cleanses the body of toxins and impurities and also stimulates the production of endorphins, leading to an improved immune system and sense of well-being. The Saphira’s Lair is specially created for children, portraying a virtual world complete with luminous and colorful light to illuminiate the glowing rain forest. 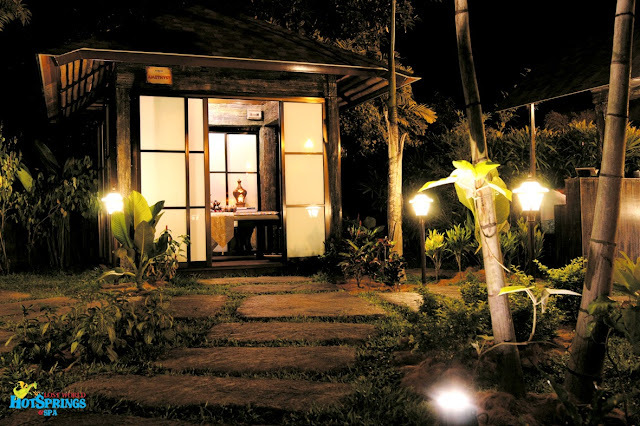 When the sun sets in the evening, the luminous lights take its place at the Lost World Hot Springs and Spa. Not only children get to spend quality time with their families and friends too can benefit from the hot springs water and its healing properties. Enjoy this spectacular world beyond imagination. The temperatures of the water is ranging from 37-40ºC. 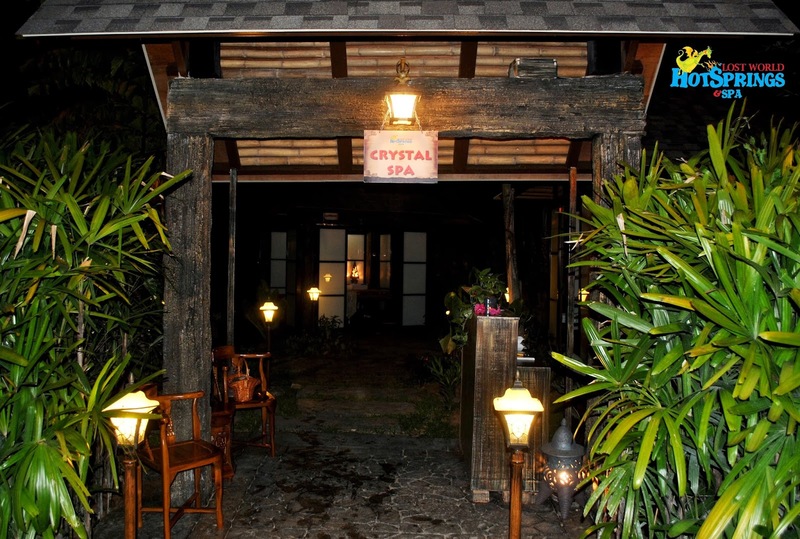 Crystal Spa is a spa facility where visitors can enjoy body therapy at a nominal charge. 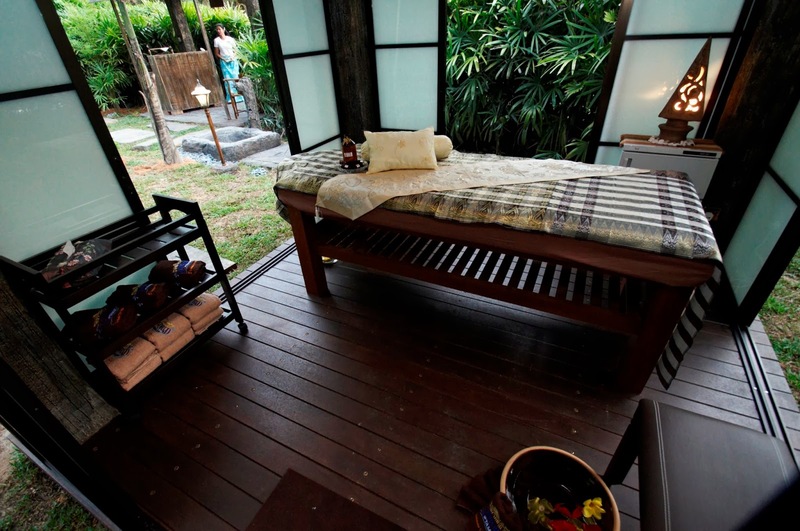 The spa offers aromatherapy and head & shoulder massage within the privacy and comfort of your own massage hut. Treat yourself to an invigorating massage of your choice and feel rejuvenated from the inside out. Crystal spa is open from 3pm – 11pm. Photo credits to Henry Lee of I Am Studio and Lost World of Tambun. So relaxing, I like the ambience of the spa! yes <3 I didn't get to explore all the hot springs pool yet, but the steam cave is one of the best! OH MAN!!! nvm revenge back by vacay with kawan kawan!!! How much was the visit at Hot Springs Spa?